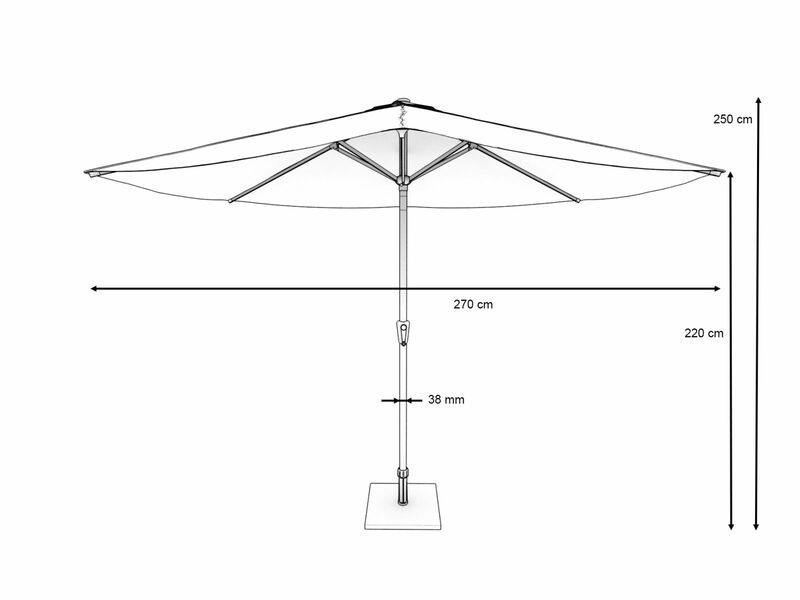 This high-quality parasol is made from water-resistant material and the frame is made from powder-coated aluminium. The base of the parasol is filled with concrete to ensure stability. You can shade yourself from the sun or shelter from the rain underneath HOOSKI.